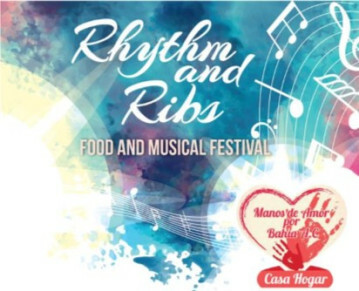 Not just ribs but LOTS of delicious food donated by our generous community to support Manos de Amor in their biggest annual fundraiser. Live music by the incredible Luna Rumba! Lots of raffle prizes ! Easy access location. Free entry, buy your food, drink and raffle tickets upon arrival. The event this year will take place in the Chedraui parking lot.